Carnot was born in Paris, France, in 1796 to a prominent family; his father Lazare was a well­known leader in the French Revolution, and his nephew, also named Sadi, became president of the French Republic. When he graduated from the elite École Polytechnique in Paris in 1814, Great Britain was a long­term enemy of France and the greatest power in the world. Carnot realized that the steam engine, invented and improved in Great Britain, was one of the most important sources of that country’s strength. Carnot committed to study how steam engines operate in hopes that France might catch up with, or even surpass, Great Britain. Carnot began by comparing the flow of heat through a steam engine with the flow of water through a waterwheel. He assumed that heat was a material substance, commonly called caloric by scientists of his time. (We know now that heat is a form of vibrational motion and not a separate substance. Remarkably, though, Carnot’s logical description of heat flow was so thorough that his theory was easily corrected after his death.) His great discovery was that the operation of a heat engine, a device that converts heat into motion just as water turns a waterwheel, did not depend on what fluid was used; any gas (a form of fluid) would follow the same laws as steam. His work was later interpreted to show that there is a limit to how much work any heat engine can do, even if it had perfect bearings and parts with no friction. In 1824 he published the results of his study in a book, Reflections on the Motive Power of Fire. Six hundred copies were printed at his own expense and went practically unnoticed. Eight years later he contracted cholera as an epidemic swept Paris, and he died on August 24, 1832, only 36 years old. 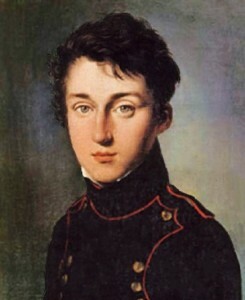 Carnot’s ideas became the starting point for thermodynamics, the field dealing with mathematical relationships that connect the efficiency of heat engines to measurements of work available from their furl. A year after Carnot’s death, another French engineer, Émile Clapeyron, found and read Carnot’s book. Clapeyron simplified the main ideas and published them in 1834, after several journals had refused to print the article. Finally in 1849 the great British scientist William Thomson (later known as LORD KELVIN) read Clapeyron’s article, became aware of Carnot’s work, and recognized its importance. Carnot’s work was eventually widely understood and appreciated; it became the basis of the Second Law of Thermodynamics, which states that heat will never flow on its own from a colder object to a warmer one. Carnot also came close to developing the First Law, which asserts that the amount of energy in the universe is constant, but he died before he could get his notes in order and present his work. His surviving brother did not publish his notes until 1878, well after other scientists had understood the nature of heat energy. Many aspects of contemporary technology employ applications of Carnot’s discoveries. Steam engines are still in use today, although they have become less visible than in Carnot’s time. All electric power plants that burn coal, oil, or gas, along with all nuclear power plants, are actually steam engines. Those fuels supply heat to boil vast quantities of water into steam and force it through giant pinwheels, called turbines. The turbines spin and force enormous generators to turn and produce electricity. The engines that power modern cars, buses, trains, and planes all use the same principles that Carnot discovered, but with hot, expanding gases as the working fluid rather than steam. Unfortunately, the inherent problems that Carnot discovered in the theory of heat engines remain. Carnot’s work was interpreted to show that the absolute maximum efficiency of any heat engine, whether fueled by steam, gasoline, or anything else, is limited by the difference in temperature between the source of heat entering the engine and its exhaust. The exhaust from gasoline engines is very hot and that represents wasted heat. Only about one­third of the fuel is actually put to use, and we can not improve that figure very much without running into the theoretical limits discovered by Carnot.